Where a company cannot fulfill its products from wholesalers or manufacturers in its own country, it will naturally look to sourcing or manufacturing them abroad. Selecting a suitable overseas location to manufacture your products will be one of the most important decisions that you will make. The process of getting your products made or developed in a popular location like China, should not be entered into lightly. 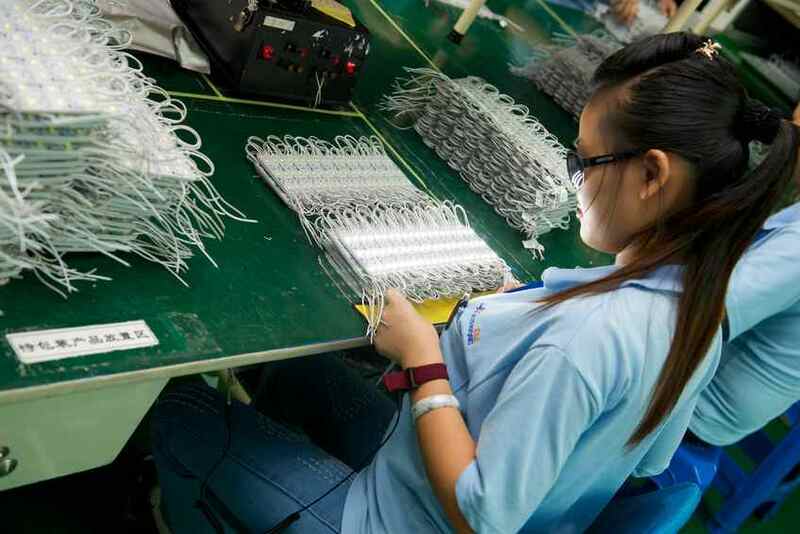 A company wishing to manufacture new products in China has an option of setting up a factory, which is expensive and time consuming or working with a Chinese manufacturer. There are pros and cons. This article includes tips on how to get products developed or manufactured in China rather than setting up a manufacturing operation. China is one of the leading manufacturing locations in the world. The country has been one of the most attractive markets for manufacturing due to the low costs of labor. China’s good infrastructure and its highly educated workforce have attracted multinationals and small businesses from all over the world, increasing the number of Chinese manufacturers in popular places like Shanghai, Beijing, Tianjin, Guangzhou and Shenzhen. Tip#1: Collaboration with local manufacturers. The decision to manufacture a new product in China can be cost effective for many companies. Zheng, Wern, & You (2015) a company also has the option of collaborating with local manufacturers to have its products manufactured. First, finding a good manufacturer in China can be tedious but imperative for a firm to obtain the right match in producing to manufacture the ‘right product’. Second, selecting a suitable manufacturer may involve obtaining reviews from online platforms like Alibaba and getting information from the nearest chambers of commerce for international or overseas trade. Third, where the goods are manufactured abroad, some countries like the USA and those in the Europe, stipulate that they must meet quality standards. It’s important the Chinese manufacturer can meet the required standards. Many foreign companies that manufacture their products in China have also taken advantage of the large Chinese consumer market, thus reducing the need to export all their goods. Apart from selecting the most appropriate manufacturer, the company or trader need to understand the operational and working practices of the manufacturer. Zheng, Wern, & You (2015) state, the foreign company must understand the minimum order quantity for the selected manufacturer. The minimum order quantity allows a company to choose a manufacturer that can meet its demands at low costs. Secondly, the company also needs to establish the production costs because the expenses may change in relation to the production volumes / quantities. On certain occasions, a company may require samples, and may need to obtain the prices for the samples. Lastly, the company should understand the time needed to manufacture the goods as well as the payment methods. Tip#3: Disadvantages of manufacturing in China. Despite the advantages of the Chinese manufacturing option, there are several disadvantages that a business wishing to manufacture in China should consider. Shugar (2017) the first problem in manufacturing in China is the political unpredictability in the country. The Chinese government has control over most of the industries. Additionally, the government has authority to change business regulations and operations. For instance, it can alter product prices at any time. Furthermore, in the past China has had a bad reputation on the quality of products manufactured in the country. Therefore, company or entrepreneur will need to set the production standards from the outset. Lastly, communication in China can be a problem especially for international organizations. The language barrier may limit effective communication between the parties. This challenge can be overcome by hiring a Chinese agent who is fluent in English. In conclusion, the world is getting to be like a village. With the increasing pace of technology, there are few barriers to running a global business without leaving your home country. There’s no doubt, China is one of the most attractive markets for manufacturing. Any company seeking to produce a new product in China can collaborate with local manufacturers. Challenges do exist; poor reputation, language barrier, and political unpredictability, however these can be mitigated by doing good diligence and hiring a reputable agent is China. As well as manufacturing in China, foreign companies can also take advantage of the huge number of Chinese consumers that are buying online and sell to the Chinese as well. This article was posted in Selling Products. Bookmark the permalink. Follow comments with the RSS feed for this post. Both comments and trackbacks are closed.